With Valentine’s Day just a few days away, we can feel the love in the Central Coast air! From stunning sunsets over the Pacific to fine wine & dining, there’s no better place than San Luis Obispo County to celebrate your love. Below, enjoy our guide to the top 3 destinations for your Valentine’s Day celebration. Starting Wednesday, February 14th through Sunday, February 18th, The Steakhouse at the Paso Robles Inn will be offering a special 4-course Valentine’s Day menu that’s sure to sweep your sweetheart off their feet. It’ll be love at first sight when you start with the Roasted Beet & Goat Cheese Salad appetizer and Crispy Braised Pork Belly. Choose from Pan Roasted Lamb Loin, Petite Filet Mignon, Grilled Salmon, or Seared Scallops for your entree and finish the night on a sweet note with Triple Berry Tart or Flourless Chocolate Cake. (Traveler’s Tip: Order different entrees and desserts and share so you get to taste a little bit of everything!) All of this costs only $140 for a table for two, so reserve your table here before it’s too late! 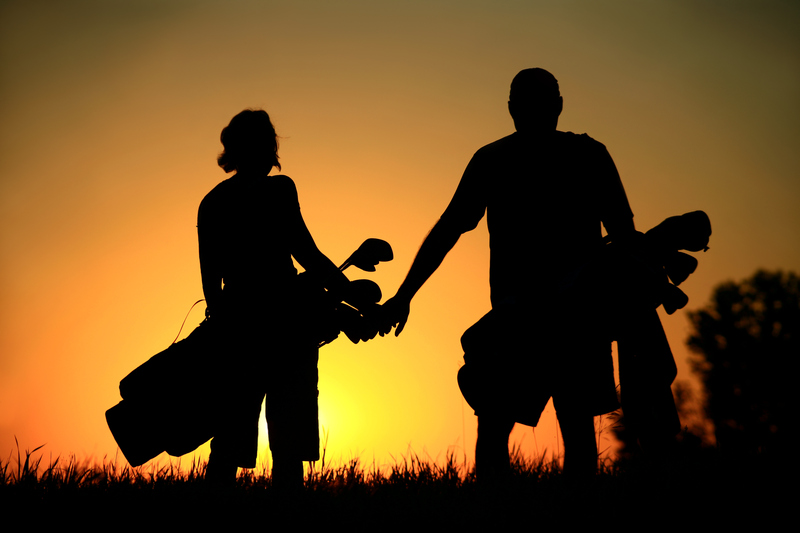 At Sea Pines Golf Resort, planning an unforgettable romantic escape is as easy as 1-2-3! 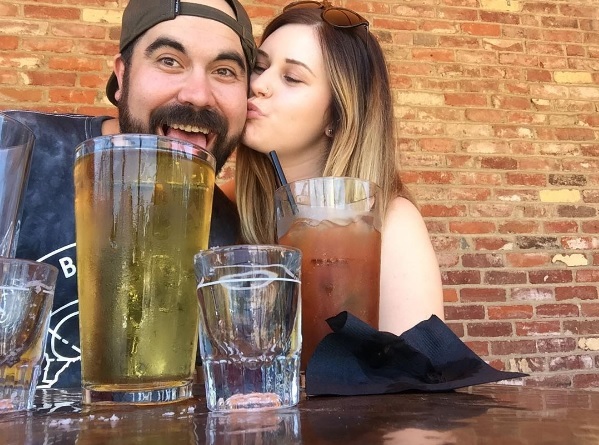 You’ll fall for their Choose Your Way to Romance package options while falling deeper in love with each other along the captivating coastline of central California. With 3 indulgent itineraries to choose from, you can celebrate your love with a romantic dinner while drinking in fine local wines and sunset views of the Pacific, pamper yourselves with an intimate couple’s massage or enjoy some friendly competition during a round of golf for two on Sea Pine’s world-class course. Package options include: Wine & Dine, Spa-aah Bliss, or Tee for Two. Click here for details on each itinerary. 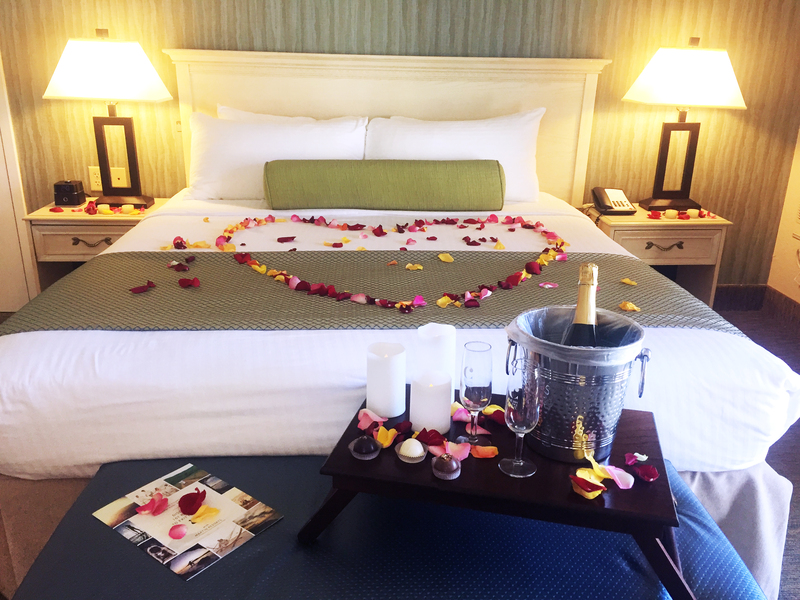 Sometimes it can be stressful to plan all the picturesque elements of a romantic getaway: rose petals on the bed, a bottle of wine, and a gorgeous hotel room. 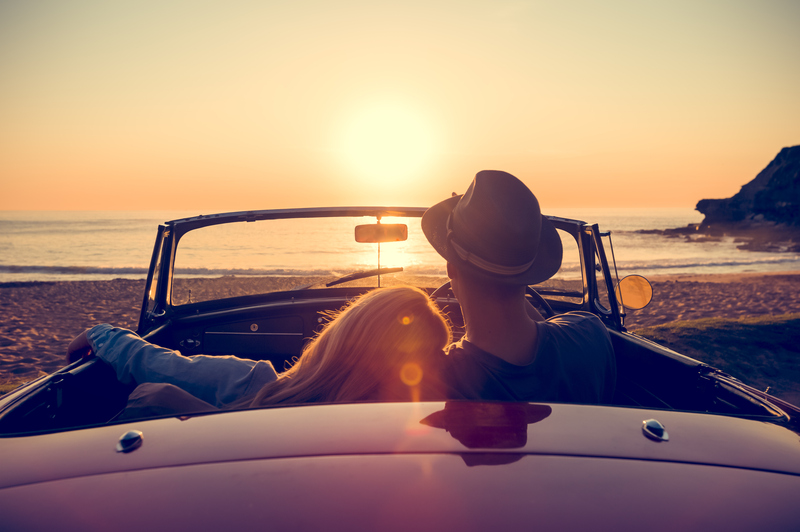 At Martin Resorts‘ stunning oceanfront hotels, Inn at the Cove and Shore Cliff Hotel, we’ll do all the work for your escape instead, so all you need to do is relax, enjoy and book your Pismo Beach romantic getaway! Watch the waves crash onto the beautiful ocean bluffs, as you both enjoy the stunning views and a bottle of sparkling wine. You’ll both be transported to a perfect beach escape, complete with rose petals on the bed and a box of delicious chocolate truffles*. Even indulge in a late check-out and savor the additional relaxation time. Don’t forget to take a romantic stroll along the ocean bluffs, ending with a relaxing moment watching the sunset on our swinging glider chairs. There are so many romantic things to do in Pismo Beach and it all starts at Inn at the Cove or Shore Cliff Hotel. *Truffles only available at Inn at the Cove.